We offer a DesignJet Belt Replacement Service as a fixed price On-Site Repair which includes the callout, all on-site labour and a general Service & Clean of your printer. 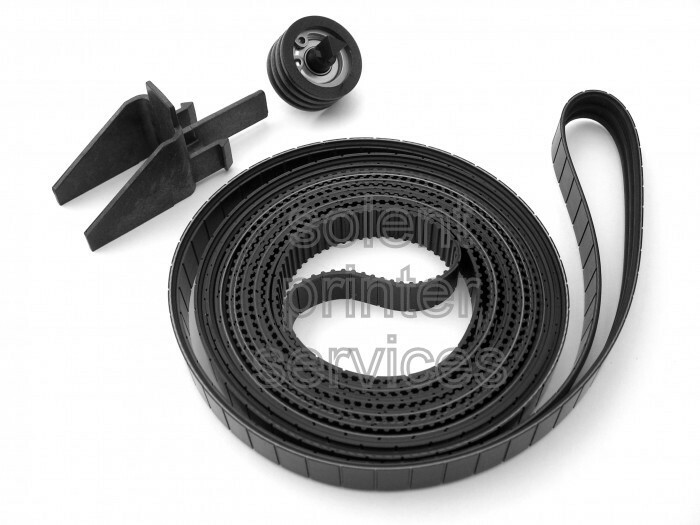 The cost of the HP DesignJet Carriage belt will vary from model to model, so please ask for a quotation. Fixed Price HP DesignJet Belt Replacement and Servicing. The Carriage Belt will perish over time and you might begin to see black crumbs under the lid. These are just bits of the belt coming off, so if you see this, call us in straight away to replace the belt.